Once again I’ve been put to shame by the eagerness of my cookie-wizard friend Ridgely. She posted the whole process of creating these masterpieces from scratch. Those days are long gone for me. 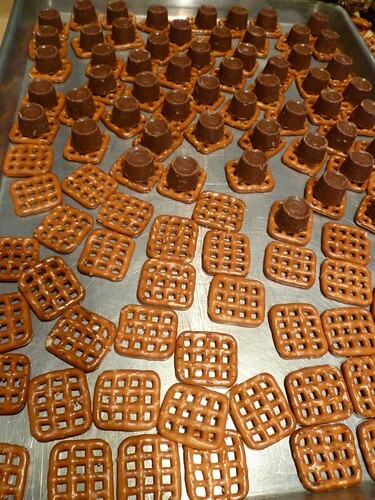 My cookie-baking efforts have been narrowed to the purchase of three ingredients: a bag of waffle pretzels, a bag of Rolos, and a bag of pecans. Looks like I should have made that two bags of Rolos. Oh, well. 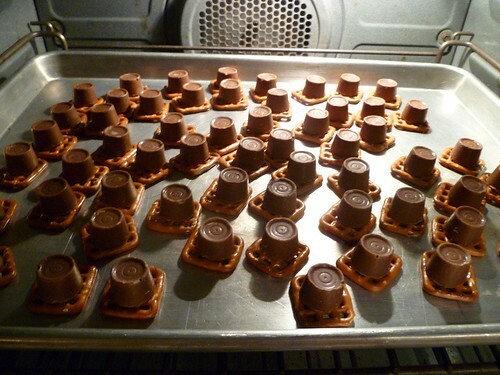 They go in a 250-degree oven for 5 minutes. 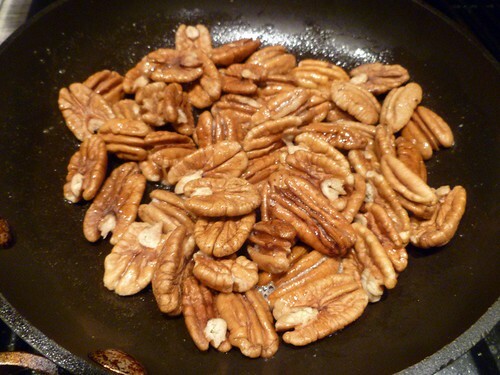 Since I bought raw pecans in the bulk section, I decided to use those five minutes to butter-glaze them. A few minutes to cool and another few minutes in the fridge and I’ve finished my holiday baking. Yes, I’d much rather have Ridgely’s creative bent, but I will be satisfied with my limitations when I proudly pull out these mock turtles for my holiday guests. I wouldn’t mock them, myself. Look mighty tasty to me. 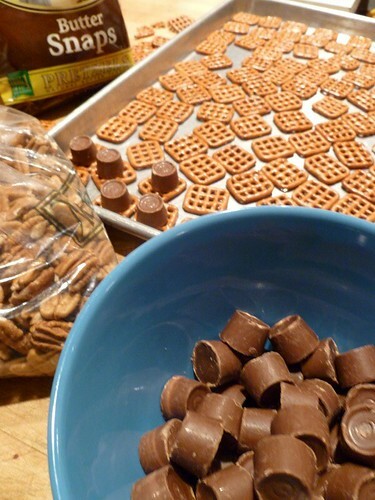 I am totally stealing this idea…what a clever, quick cookie that includes all my favs! 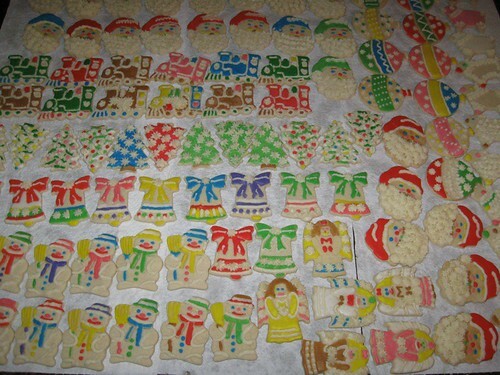 I cannot take credit for the frosting of the cookies…the Bearded One does most of that, my hands just aren’t strong enough. I still don’t have any feeling in my thumb from working on them the other night! Thank you for a great idea! 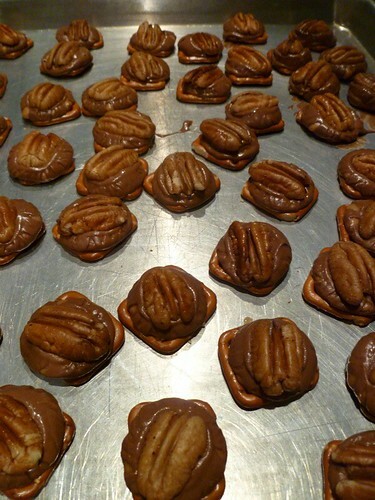 Yes, I’m willing to make a second trip to the grocery store for these…Merry Christmas! your family. You certainly keep busy!!! and colorful, while also quick and easy.